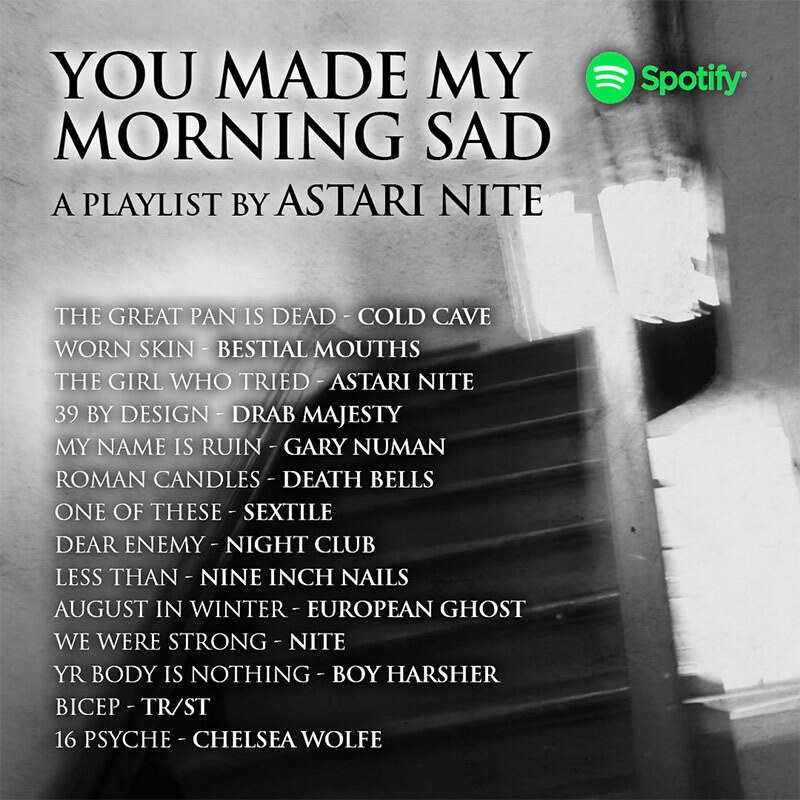 Astari Nite – You Made My Morning Sad Playlist – Cleopatra Records, Inc. I wanted to hear how these beautiful musicians all sounded together, of course including myself so I created what I personally think is a strange and yet calming playlist. It�s wonderful to hear while riding a bike, playing Nintendo or baking a cake. � M.G.